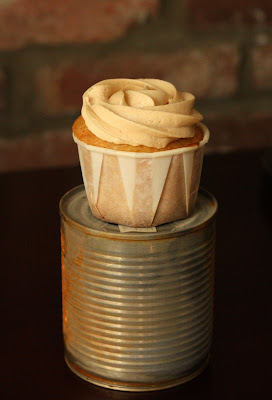 I think I may have found my new favorite cupcake! Caramel has long been one of my favorite flavors - I always choose caramel sundaes to chocolate ones, and prefer ice cream with caramel ripples. I was excited to have found this flavor combination. I love using vanilla beans in baked goods, and the combination of vanilla bean cupcakes with the flavor of Dulce de Leche was WONDERFUL! The buttercream is by far my favorite buttercream flavor I've made yet (in fact, the leftovers may not make it onto more cupcakes, or even onto graham crackers... it may end up in by stomach by way of a spoon!). Preheat the oven to 350°degrees and place paper liners in pans. In a standing mixer, beat the butter and sugar together until light and creamy for about 2 minutes. Add the eggs, vanilla bean seeds, and vanilla extract. Mix until well incorporated. Slowly incorporate dry ingredients until well blended. Fold in sour cream until smooth. Fill each lined cup 1/2 to 2/3 full. Bake for approximately 15 minutes. 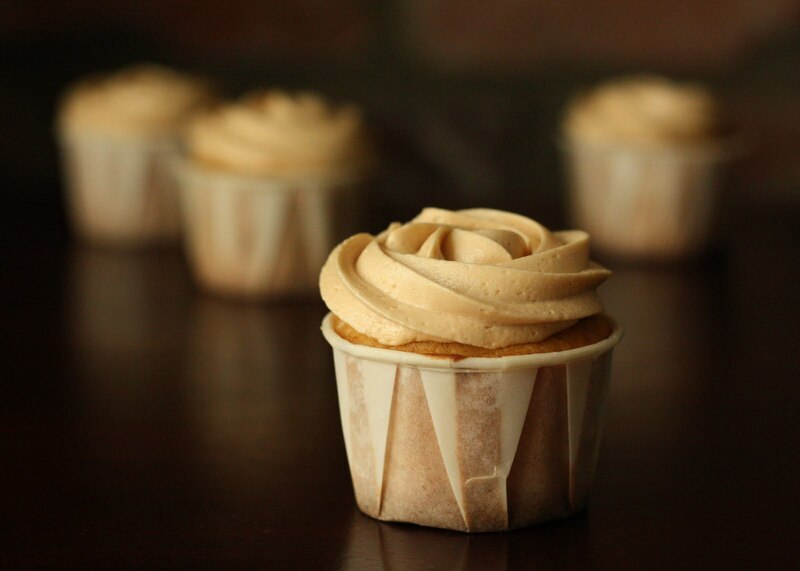 Cupcakes are done when a toothpick inserted in the center comes clean. Remove immediately from pan & cool completely on a wire rack. 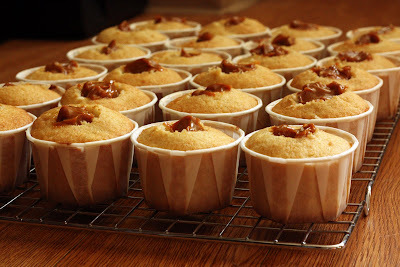 Cut a small cone out of each cupcake & fill with a small amount of Dulce De Leche. Cream together butter and dulce de leche on low using an electric mixer. Add cream and vanilla and beat on medium speed until smooth. Add the powdered sugar and beat to incorporate. These cupcakes look awesome! Bookmarked! I love vanilla bean anything!! Mixed into a cupcake, even better. Nicely done! Wow, what a great flavour combination. Delicious! Beautiful photography! These look absolutely delicious. I think this is my new favorite cupcake too! I have got to try this! And your pictures are lovely with a warm and yummy rustic feel. these are adorable. i am going to make these immediately. i love the little cups and have tried to find this size on line, yet with no luck (unless I want 2000 of them). where did you get your cups? The Urban Baker: I bought the cups at a local restaurant supply store. They are Sweetheart Souffle Cups - 3.25oz. They came in sleeves of 250 for about $6. I love them! thank you so much for the info! I am going to make the cupcakes in the next month! How do we make the prepared dulce de leche the buttercream calls for and that we fill cupcakes with? Some stores also carry it by the sweetened condensed milk or in the Mexican/Latino section of the grocery store.